← What if the stars came out only once every 1000 years? Such is the hegemony of the BBC that this week it has unwittingly taken down the website of a fascinating collection of photographs of the British Raj. Not the most important news story in a week that has seen breaking global news, but Auntie takes pride in adding ‘magazine’ pieces to their homepage: One of the best regular features is that ‘In Pictures’ section that tells the days news using images from across the globe. 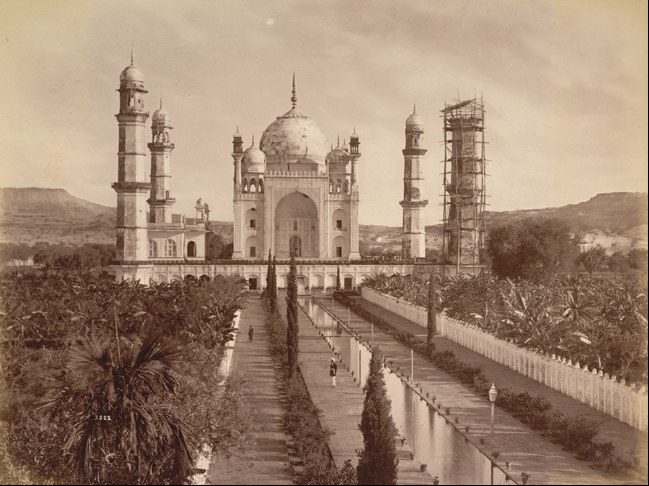 This week it featured some awesome photographs from Lala Deen Dayal also known as Raja Dayal, who in 1894 became the official court photographer to the 6th Nizam of Hyderabad, Mahbub Ali Khan, Asif Jah VI. So many avid BBC readers clicked through to the website that hosts his original images that it has been down ever since the piece was published. His photographs are unique and stunning. They often showcase important architectural and artistic triumphs and capture the scene so elegantly. However it is the photographs of the people that are most fascinating. 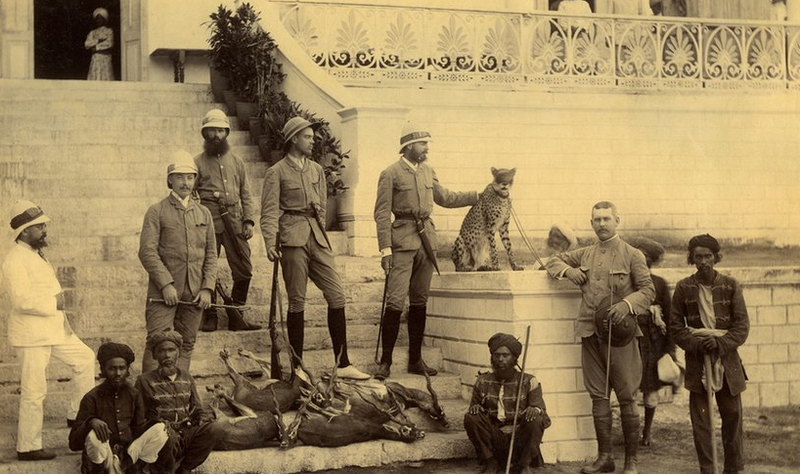 For example, in this picture the Grand Duke Alexander of Russia and companions after a cheetah hunt in March 1891. Dayal began his career in the mid-1870s as a commissioned photographer; eventually he set up studios in Indore, Mumbai, and Hyderabad, and employed over 50 photographers. In addition to his Royal appointments he was given commissions by many sections of the Raj, and was appointed photographer to the Viceroy in 1885. It was at this time that Dayal created the firm Raja Deen Dayal & Sons in Hyderabad. Dayal was given the great honour of being appointed photographer to Queen Victoria in 1887, and in 1905-1906 accompanied the Royal Tour of the Prince and Princess of Wales. He died in Bombay in 1905. After his death his family continued the studios with the seventh Nizam in Hyderabad, where his fourth generation descendants run the studio. When the hype has died down you can visit the website here, but in the meantime, the BBC story is here.